We went to Vivid on Tuesday, partly because we heard how busy it was over the weekend and partly because weekends are a bit full for us (wedding photographers and all). We had dinner at Masuya Japanese Restaurant on O'Connell st, had some brown sugar plum wine, then set off. It was all a bit last minute so we didn't plan a route, but having walked 9.75km I think we covered a fair bit of it, including Chatswood's installations (where we got on the train). If you haven't been to Vivid before you definitely should make the effort, if you have I can say that -with a few exceptions- last year was marginally better. 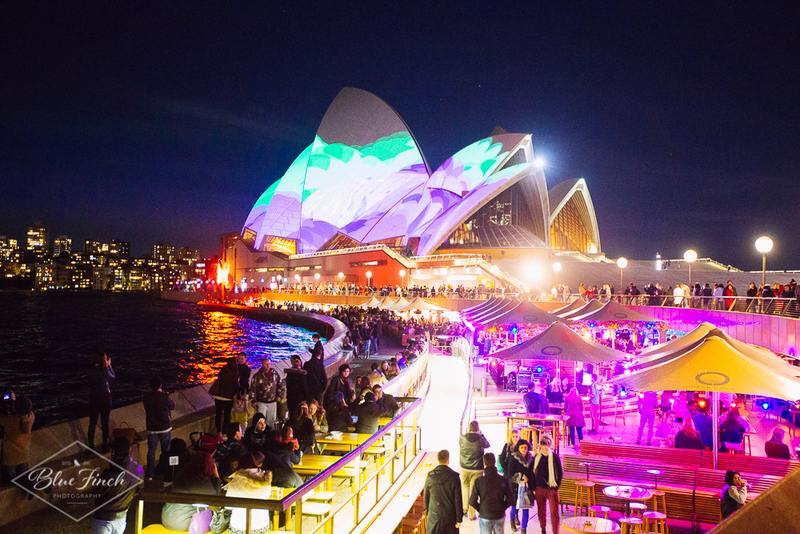 This coming weekend is the last weekend of Vivid Festival 2015. 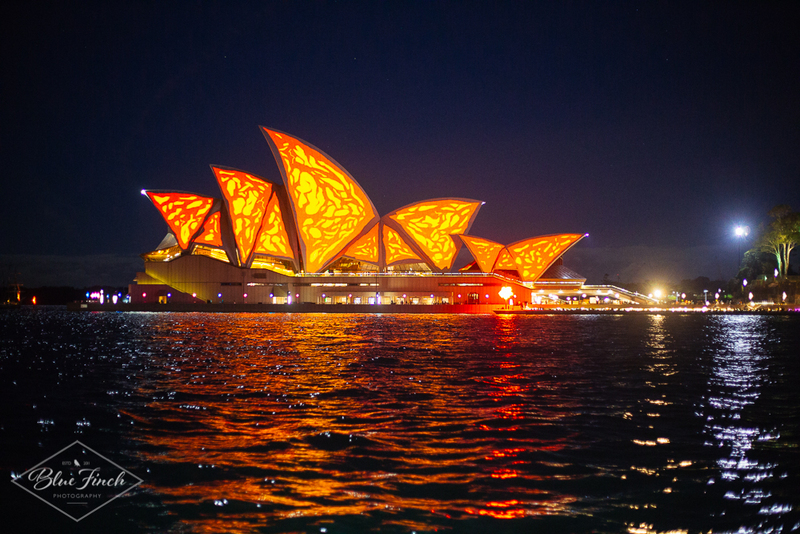 Vivid has been running since the 22nd of May and the lights will go out on the 8th of June. The scope of the festival is much wider than last year with jellyfish chandeliers greeting you at Chatswood station and the University of Sydney spectacularly lit up. There are also several amazing music events to experience. 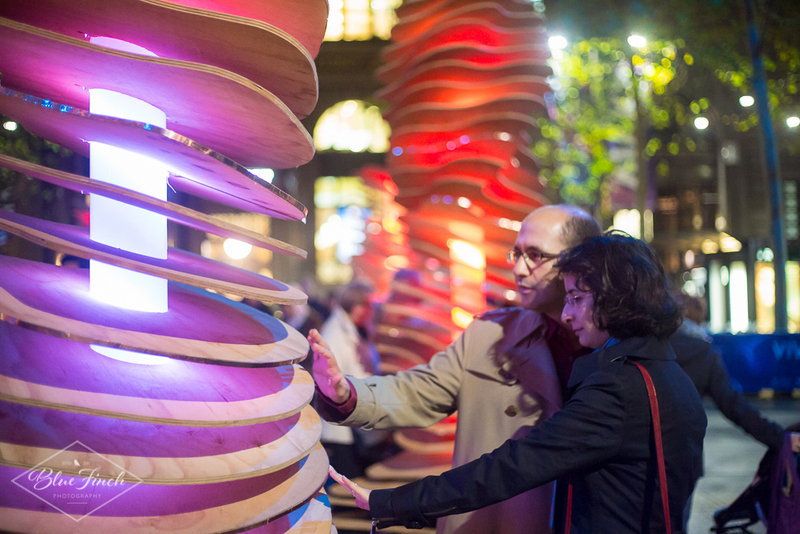 Visit the Vivid Festival Sydney website for maps, events and what not to miss. Ps some of these are iphone photos.